Garma Festival of Traditional Cultures - All News: This week YYF’s exciting Garma programming news leaks into the public domain. 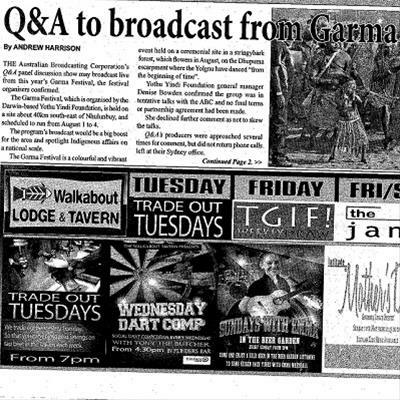 This week YYF’s exciting Garma programming news leaks into the public domain. The Yothu Yindi Foundation can confirm that initial negotiations are underway with the ABC. No details have been finalized at this stage, including panel members and the Q&A theme. The YYF Chairman and Board will release further information once negotiations have concluded.